Main objective of this lecture is to present on Why do Tectonic Plates Move. Tectonic plates move because they are floating on top of the liquid mantle. 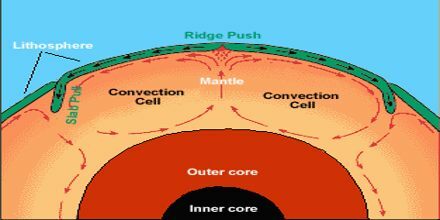 The mantle itself moves due to convection currents: hot rock rises, gives off some heat, then falls. This creates vast swirls of moving liquid rock under the crust of the earth, which jostles the plates of crust on top.